Առաջին համաշխարհային պատերազմի ընթացքում Կյուրին հասկացավ, որ վիրավոր զինվորներին ամենից լավ կարելի է օգնություն ցուցաբերել հնարավորինս շտապ գործելով: Նա գիտակցում էր ռազմաճակատի գծի մոտ դաշտային ռադիոլոգիական կենտրոնների անհրաժեշտությունը, որոնք պետք էին տեղում վիրահատություններ կատարելու համար: Արագ ուսումնասիրելով ճառագայթաբանություն, անատոմիա և փոխադրային մեխանիզմներ, նա ձեռք է բերում ռենտգենյան ճառագայթման սարքեր, փոխադրամիջոցներ, օժանդակ գեներատորներ և ստեղծեց շարժական ռադիոլոգիական միավորներ, որոնք հայտնի դարձան որպես «փոքրիկ Կյուրիներ» (ֆր.՝ petites Curies): Նա դառնում է Կարմիր խաչի ռադիոլոգիայի ծառայության տնօրենը և հիմնում է Ֆրանսիայի առաջին ռազմական ռադիոլոգիական կենտրոնը, որը սկսում է գործել 1914 թվականի վերջից: Պատերազմի առաջին տարում, նախ մի զինվորական բժշկի, ապա իր 17-ամյա դստեր՝ Իրենի օգնությամբ, Կյուրին ղեկավարում է 20 շարժական ռադիոլոգիական միավորների և 200 ռազմադաշտային միավորների գործունեությունը: Ավելի ուշ նա ուրիշ կանանց ևս ընդգրկում է այդ գործում՝ սովորեցնելով և պատրաստելով նրանց որպես բուժքույրեր: 1915 թվականին Կյուրին ստեղծում է խոռոչային ասեղներ, որոնք պարունակում էին ռադիումի ճառագայթում՝ անգույն, ռադիոակտիվ գազ, որ արձակում է ռադիումը և որը հետագայում կոչվեց ռադոն։ Այդ ասեղներն օգտագործվում էին ախտահարված հյուսվածքն ստերիլիզացնելու համար։ Ասեղների համար անհրաժեշտ ռադիումը նա տրամադրեց իր ստացած մեկ գրամ ռադիումի պաշարից։ Մոտավորապես հաշվարկել էին, որ մոտ մեկ միլիոն վիրավոր զինվորների օգնություն է ցուցաբերվել Կյուրիի ստեղծած ռենտգենյան միավորների շնորհիվ։ Այս ժամանակահատվածում, զբաղված լինելով նման գործունեությամբ, նա շատ քիչ ժամանակ էր տրամադրում գիտական հետազոտություններին։ Չնայած այս ամբողջ մարդասիրական ներդրումներին, որ նա կատարեց ի շահ ֆրանսիական բանակի, Կյուրին երբեք որևէ պաշտոնական պարգևի կամ ճանաչման չարժանացավ ֆրանսիական կառավարության կողմից։ Բացի դրանից, պատերազմն սկսվելուց անմիջապես հետո, նա փորձեց իր Նոբելյան ոսկե մեդալները նվիրաբերել պատերազմական ֆոնդին, սակայն Ֆրանսիայի ազգային բանկը հրաժարվում է ընդունել դրանք։ Այնուամենայնիվ, օգտագործելով Նոբելյան մրցանակների իր գումարը, նա գնում է պատերազմական պարտատոմսեր։ Նա ասել է.
I am going to give up the little gold I possess. I shall add to this the scientific medals, which are quite useless to me. There is something else: by sheer laziness I had allowed the money for my second Nobel Prize to remain in Stockholm in Swedish crowns. This is the chief part of what we possess. I should like to bring it back here and invest it in war loans. The state needs it. Only, I have no illusions: this money will probably be lost. Կյուրիի աշխատությունների ֆիզիկական և հասարակական կողմերը զգալիորեն նպաստեցին 20-րդ և 21-րդ դարերի համաշխարհային ձևավորման համար: Կորնելի համալսարանի պրոֆեսոր Փիրս Ուիլյամսը գրում է. 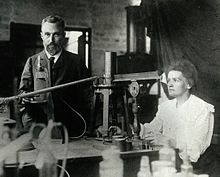 The result of the Curies' work was epoch-making. Radium's radioactivity was so great that it could not be ignored. It seemed to contradict the principle of the conservation of energy and therefore forced a reconsideration of the foundations of physics. On the experimental level the discovery of radium provided men like Ernest Rutherford with sources of radioactivity with which they could probe the structure of the atom. As a result of Rutherford's experiments with alpha radiation, the nuclear atom was first postulated. 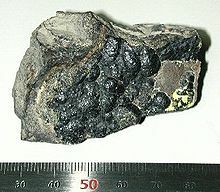 In medicine, the radioactivity of radium appeared to offer a means by which cancer could be successfully attacked. Որպես ամենանշանավոր կին գիտնականներից մեկը, մարի Կյուրի անունը խորհրդանիշ է դարձել գիտական աշխարհում և հարգանքի բազմաթիվ դրսևորումների է արժանացել անգամ փոփ մշակույթում: 2009 թվականին «New Scientist» անգլալեզու շաբաթաթերթի կազմակերպած հարցման արդյունքում Մարի Կյուրին ճանաչվեց ամենաազդեցիկ կինը գիտության բնագավառում: Կյուրին հավաքել էր բոլոր քվեների 25.1%-ը, ինչը երկու անգամ ավելին է քան երկրորդ տեղը զբաղեցրած Ռոզալինդ Ֆրանկլինը (14.2%): 2011 թվականը Լեհաստանը և Ֆրանսիան հայտարարել էին Մարի Կյուրիի տարի, իսկ ՄԱԿ-ը հայտարարեց, որ դա կլինի քիմիայի միջազգային տարի: Նույն թվականի դեկտեմբերի 10-ին Նյու Յորքի գիտությունների ակադեմիան հանդիասավորությամբ նշեց Կյուրիի երկրորդ Նոբելյան մրցանակի ստացման 100-րդ տարեդարձը, որին ներկա գտնվեց Շվեդիայի արքայադուստր Մեդլինը: Մարի Կյուրին առաջին կինն էր, որ Նոբելյան մրցանակ ստացավ, առաջին մարդը, որ երկու Նոբելյան մրցանակ է ստացել և միակ կինը, որ երկու տարբեր բնագավառներից է Նոբելյան մրցանակ ստացել: Կյուրիի ստացած մրցանակները ներառում են. ↑ 1,00 1,01 1,02 1,03 1,04 1,05 1,06 1,07 1,08 1,09 1,10 Рожанский И. Д. Склодовская-Кюри Мария // Большая советская энциклопедия: [в 30 т.] / под ред. А. М. Прохоров — 3-е изд. — М.: Советская энциклопедия, 1976. — Т. 23 : Сафлор — Соан. — С. 512. ↑ 2,0 2,1 2,2 2,3 2,4 2,5 2,6 2,7 Կրուգոսվետ — 2000. ↑ 4,0 4,1 4,2 4,3 4,4 4,5 data.bnf.fr: տվյալների բաց շտեմարան — 2011. ↑ 6,0 6,1 6,2 6,3 6,4 Ազգային բժշկական ակադեմիա — 1820. ↑ Reid R. W. Marie Curie — New American Library, 1974. — P. 6. 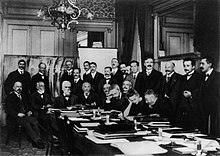 ↑ The Nobel Prize in Physics 1903 — Nobel Foundation. 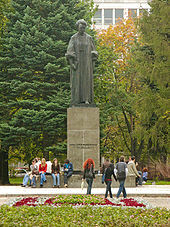 ↑ See her signature, "M. Skłodowska Curie", in the infobox. ↑ Her 1911 Nobel Prize in Chemistry was granted to "Marie Sklodowska Curie" File:Marie Skłodowska-Curie's Nobel Prize in Chemistry 1911.jpg. ↑ "The Genius of Marie Curie: The Woman Who Lit Up the World" ՅուԹյուբում (a 2013 BBC documentary). ↑ Françoise Giroud: „Die Menschheit braucht auch Träumer“ Marie Curie. S. 22. 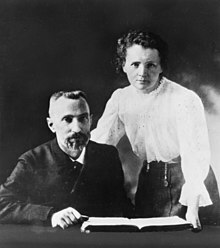 ↑ Marie Skłodowska Curie: Selbstbiographie. S. 15. ↑ Susan Quinn: Marie Curie. Eine Biographie. S. 71. 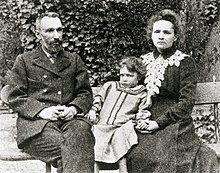 ↑ Marie Skłodowska Curie: Selbstbiographie. S. 18. ↑ Susan Quinn: Marie Curie. Eine Biographie. S. 109. ↑ Barbara Czarniawska, Guje Sevón: The Thin End of the Wedge: Foreign Women Professors as Double Strangers in Academia. S. 170. ↑ Ksöll, Vögtler; S. 37–38. ↑ Susan Quinn: Marie Curie. Eine Biographie. S. 116. ↑ "Marie Sklodowska Curie", Encyclopedia of World Biography, 2nd ed., vol. 4, Detroit, Gale, 2004, pp. 339–41. Gale Virtual Reference Library. Web. 3 June 2013. ↑ Grandjean Martin (2017)։ «Analisi e visualizzazioni delle reti in storia. L'esempio della cooperazione intellettuale della Società delle Nazioni»։ Memoria e Ricerca (2): 371–393։ doi:10.14647/87204 See also: French version (PDF) and English summary. ↑ Denise Grady (6 October 1998), A Glow in the Dark, and a Lesson in Scientific Peril The New York Times; accessed 21 December 2016. ↑ Angelique Chrisafis (27 May 2015), France president François Hollande adds resistance heroines to Panthéon The Guardian; accessed 21 December 2016. ↑ Charity Commission. Marie Curie (charity), registered charity no. 207994. 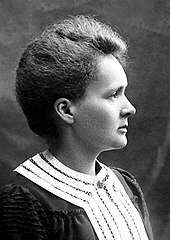 Marie Curie(անգլ.) 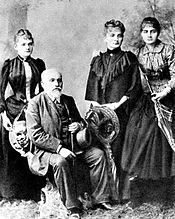 ֆիլմը Internet Movie Database կայքում – Animated biography of Marie Curie on DVD from an animated series of world and American history – Animated Hero Classics distributed by Nest Learning. Marie Curie – More than Meets the Eye(անգլ.) ֆիլմը Internet Movie Database կայքում – Live action portrayal of Marie Curie on DVD from the Inventors Series produced by Devine Entertainment.